Celebrate Frankie Manning’s birthday and lindy hop with the rest of the world! 普天同庆 Frankie Manning’s birthday and lindy hop! 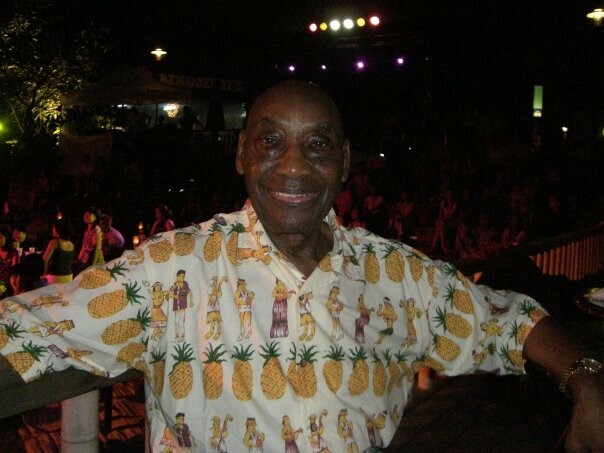 Join us to celebrate Frankie Manning’s 102nd birthday with parties, workshops & activities for 2 days in Singapore, get on the bus for a road trip with a Shim Sham in historical Malacca, then on to fascinating Kuala Lumpur for ANOTHER 2 days of SEA Jam mayhem! 与我们一起庆祝 Frankie Manning 第一百零二生日! 新加坡2天的派对，课程和其他活动, 然后共同前往具历史意义的马六甲一起Shim Sham, 再赴引人入胜的吉隆坡 - 继续多2天的疯狂乐趣! This year’s SEA Jam design is inspired by a shirt Frankie used to wear every time he came to SEA Jam. We miss you Frankie! Our special guest is Chazz Young, the eldest son of Frankie Manning. 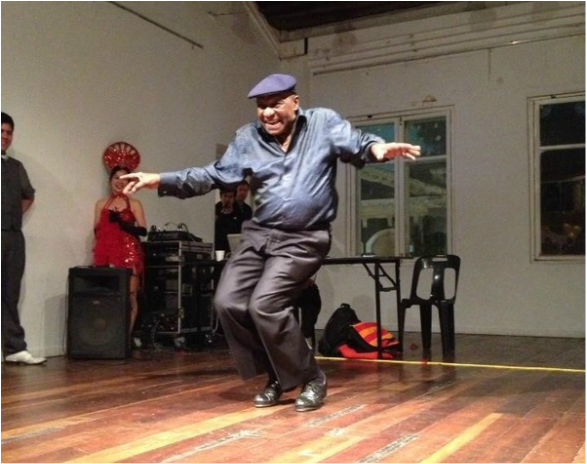 He started dancing when he was 8 years old and at the age of 17 he joined the Norma Miller Dance Troupe. They performed at the famous Apollo Theater with bands like Count Basie and toured the world performing Lindy, Jazz, and Tap from London to Australia. Over the years Chazz has performed and taught Lindy Hop, Jazz Steps and Tap with his father Frankie Manning, becoming the most famous father son duo in the history of swing dance. We are so honoured to have Chazz join us at SEA Jam once more. 他8岁时开始跳舞，17岁时加入了Norma Miller舞团。他们在著名的阿波罗剧院与众多乐队 (如Count Basie乐队)一起演出, 还到伦敦与澳大利亚等地巡回表演林迪舞,爵士舞和踢踏舞. 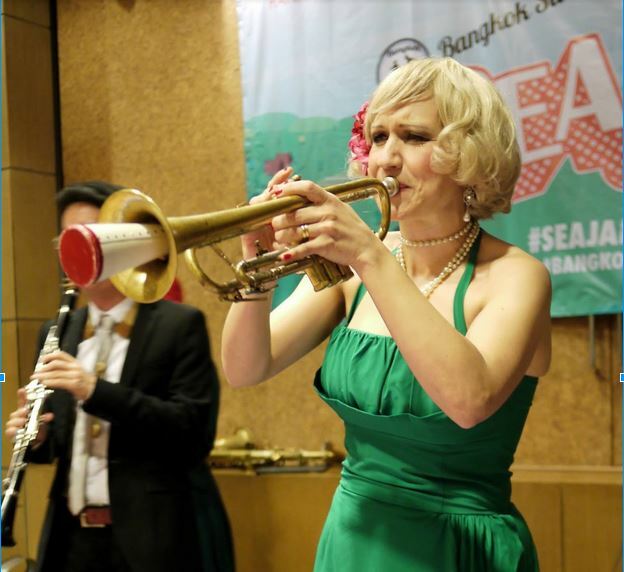 Gunhild is a Swedish Jazz and Swing star- she plays the trombone, trumpet, a whole bunch of other instruments as well as sings and dances with her family band, the Carling Family. Although the style of the music is 30’s - 40’s big band swing, most of the music is newly written by the members of the band, mostly by: Hans Carling, Gunhild Carling and Erik Berndalen. Don’t miss the opportunity to dance to this outstanding musician and entertainer, that will make you never wanna go to bed! One of the prime creators of the Lindy Hop, and the most influential person in swing dance history, Frankie Manning was born in Florida on May 26th, 1914. Traditionally Lindy Hop dancers would gather and celebrate Frankie's birthday on and around May 26th. A big party was planned for Frankie's 95th birthday in New York city in May 2009. Unfortunately, Frankie passed about a month before the event. The party then became a celebration for Friankie's life and contribution. In 2014, the global Lindy Hop community again got together to celebrate Frankie's 100th birthday. During the Frankie 100 celebration, May 26th was named World Lindy Hop Day!